The Office of Continuing & Distance Education is the center for online learning. South Dakota State University offers online undergraduate and graduate degrees, certificate programs, professional development opportunities, conferences and workshops. Our services expand the University's reach to a diverse community of online students. Delivering dynamic programs and services. Select from a wide variety of fully-online programs designed to meet the unique needs of distance students. Online courses are constructed with the same attention to student outcomes as any class offered on campus. University professors actively engage in the digital classroom environment and communication via e-mail and discussion forums. Integrate online learning with traditional classroom experience at one of three University Centers across South Dakota. Locations in Pierre, Rapid City and Sioux Falls help you earn your hybrid SDSU degree by offering classes at these smaller campuses and on the internet. Start working toward your degree while earning high school credit. Dual accreditation allows you to fulfill general education course requirements for your post-secondary degree. Select from a variety of classes delivered online, at University Centers and on campus, making them readily available and easily accessible. Explore personal development and professional growth opportunities through our non-credit program. Certificates, classes and continuing education units (CEUs) are useful for business training, staff development, maintaining your license or lifelong learning. Take your skills to a whole new level. Conferences and workshops are offered year round in a variety of topics. Planning a conference? We can help! We are here to help. Let us know what questions you have. We'll get back to you ASAP. Learning how to better understand American Indian students’ learning styles and needs were a topic of discussion at a workshop for South Dakota State University faculty and staff Aug. 13. 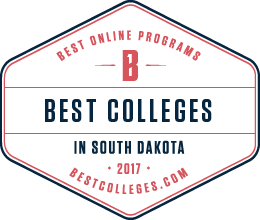 TheBestSchools.org recently named South Dakota State University’s online bachelor’s degree program in sociology one of the nation’s best in its 2018 rankings.